We’ve all heard them. Everything happens for a reason. Love the sinner, Hate the sin. God helps those who help themselves. But did Jesus really say these things? Is this what we read in scripture? 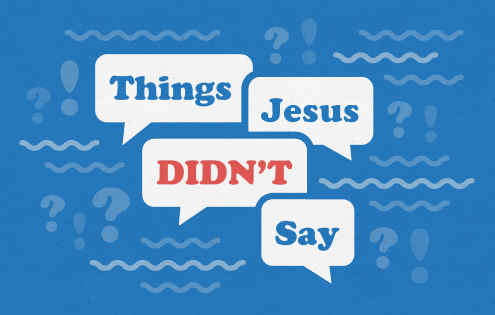 Join us for the six week sermon series, Things Jesus Didn’t Say. We will examine the sayings and “pearls of wisdom” we hear over and over again and discover the things Jesus didn’t say.